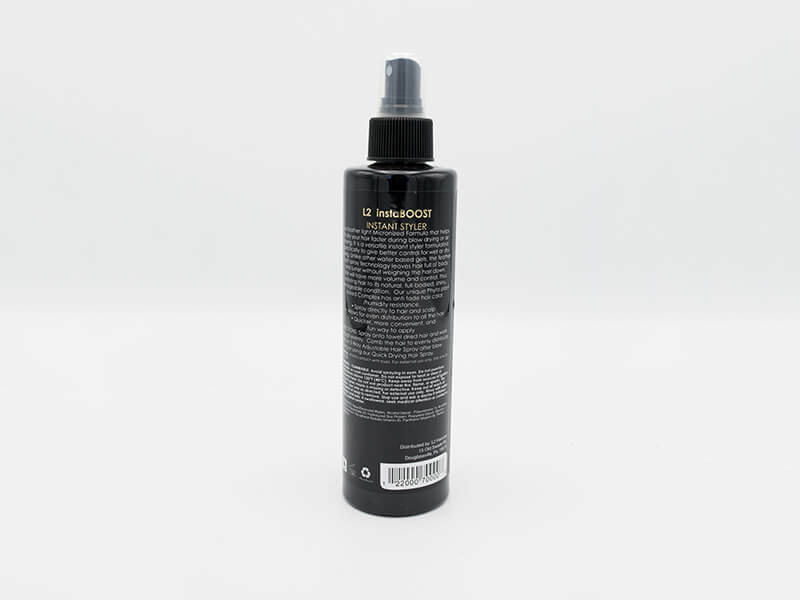 A feather light Micronized Formula that helps to dry your hair faster during blow drying or air drying. It is a versatile instant styler formulated specifically to give better control for wet or dry styling. Unlike other water based gels, the feather light spray technology leaves hair full of body and luster without weighing the hair down. Hair will have more volume and control, thus restoring hair to its natural, full-bodied, shiny, manageable condition. Our unique Phyto Plant-based Complex has anti-fade hair color and humidity resistance. Tocopherol Acetate (Vitamin E), Panthenol (Vitamin B), Parfum(Fragrance).